Ep. 2: What's in a Vaccine? Are Vaccines Effective? ... and ... What About Polio? There’s a whole lot more that didn’t make it into the online 7 part series. One of the hardest parts of this project was trying to edit over 54 interviews (Over 50 hours) down into roughly seven 75 minute episodes. With all of this amazing content, we wanted to give you the opportunity to own every single interview from start to finish (54 total) as well as the entire “Director's cut” of the docu-series (100+ additional minutes) for a very low investment. Learn from some of the smartest people alive about vaccines. These are the entire interviews from all 54 experts raw and uncut, so you don’t miss a second. Founder of NaturalNews.com, Food Scientist, Author & Lecturer"
Gastroenterologist, Fellow of the Royal College of Surgeons, Director of "VAXXED"
Former Producer of the Emmy® Award-winning talk show, The Doctors® & Co-Producer of "VAXXED"
Dr. Sin Hang Lee, M.D. Best-selling Author, Speaker, Herbalist, and Health Educator "
Author, Founding Editor-in-Chief of "The Autism File" & Co-Producer of "VAXXED"
Medical Research Journalist & Director of the "Thinktwice Global Vaccine Institute"
Co-Founder of "Free and Healthy Children International"
Dr. Muhammed Rafeeque, A.A., B.H.M.S. Dr. Manuela Malaguti-Boyle, Ph.D, N.M.D. Enjoy over 100+ additional minutes that you don‘t want to miss. Plus, you‘ll get to watch the entire series whenever you want... and be able to share it with your family and friends. Learn about vaccines from some of the smartest people alive. These are the entire interviews from all 54 experts, raw and uncut so that you don’t miss a second. Prefer to listen to the interviews while you’re in the car or on your morning walk? Then you’ll love being able to download and listen to the MP3 recordings wherever you are. Easily know where to look to find exactly what you want to watch using our custom cliff notes and index. Get 2 copies (includes BOGO) of the entire Platinum Physical Package 7 Episode Docu-series shipped to you anywhere in the world. 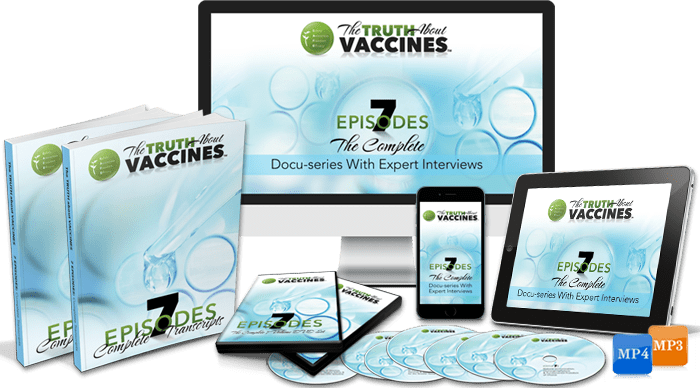 For a limited time only, you can pre-order the complete Platinum Package of The Truth About Vaccines for a fraction of the price. 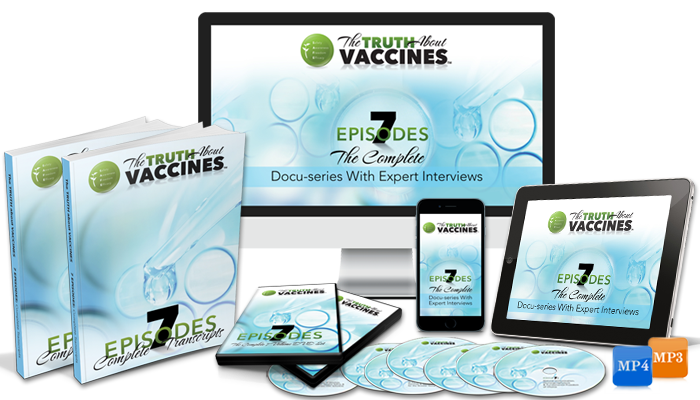 Not only will you help support us and our mission to educate families, protect children, and research safe vaccines… but you’ll also enjoy sharing this information and knowledge with everyone you love. As you know, the advancement of safe and clean vaccines won’t be accomplished through mainstream research and big pharma funded facilities. It will be accomplished by the brilliant minds and scientists that are taking the risk of thinking and acting outside the box. That’s why we’re donating a portion of the proceeds to amazing charities like NVIC (National Vaccine Information Center) and Children's Medical Safety Research Institute. 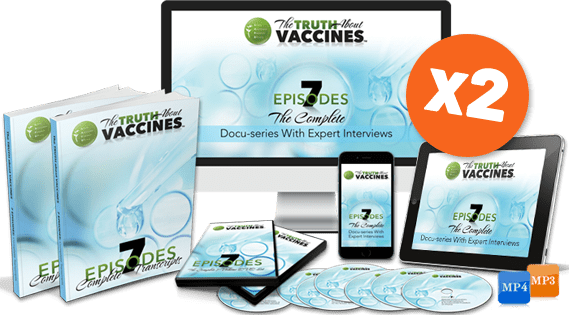 Our sister company, The Truth About Cancer, has donated over $500,000 in the last two years and our goal is to donate another $150,000 through The Truth About Vaccines before the end of 2017. Please know that when you support our mission, you’re supporting an organization that was built on the foundation of caring and giving. Bonus Buy-One-Get-One (BOGO) Gift Yours FREE! We know that having the “vaccine” conversation with others isn’t always easy – and now you don’t need to. When you choose to own the Director's Edition today you’ll also get an additional copy to give to someone you love absolutely free. We know that the only way we’re going to make a significant impact on the world is to spread this knowledge far and wide. Please accept this gift from us and give it as a gift to someone you love (and/or your doctor). Support our mission and save up to 61% when you pre-order today. 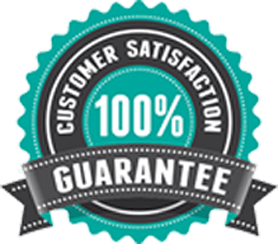 And remember – if for any reason you’re not 100% satisfied with The Truth About Vaccines – just ask and you’ll get a full refund of every penny you paid... within 90 days of purchase! No questions asked. No hassles. And we’ll still be friends. 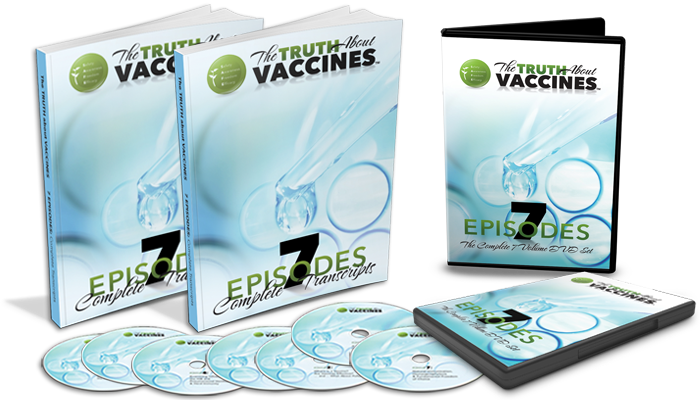 Don't decide now... Take all the time you need and try "The Truth About Vaccines" Platinum Package for 90 days. Thank you for supporting our mission to educate families, protect children, and research safe vaccines. 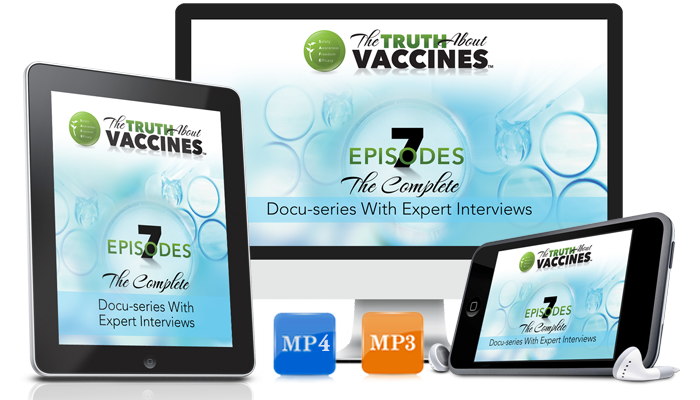 What are the most Frequently Asked Questions about The Truth About Vaccines? Q: Which packages qualify for the Buy One, Get One Free (BOGO) Offer? If you order the digital-only version, we’ll send you a coupon for a friend to create their own username/password in our membership portal with all the downloads. If you order the physical DVDs, we’ll send you an extra set of DVDs. If you order the combo package, we’ll send you BOTH the coupon and the extra set of DVDs! Q: Is there a deadline to take advantage of the discounted prices? What happens after that? A: The 50% discount see above is only available for a limited time. After that, the price goes up. Q: When will I receive my DVD Package in the mail? A: We are currently printing the series at the fulfillment center. Domestic orders take about 5 – 7 days to be delivered and International can take up to 2 weeks. Please keep in mind that we’re not BIG PHARMA with endless streams of income and we’re only able to produce what has been ordered so please be patient with us as we produce, print and ship your orders as quickly as possible. We also know that you’re anxious to get started and this is why you will have access to all of the videos online as they air and all transcripts and other interviews and bonuses will be available as soon as the series completes airing. Q: What is the best way to contact you should I have a question or need assistance? A: Our friendly customer support staff is here to help and will gladly assist you and answer any questions. Simply go to https://support.thetruthaboutvaccines.com and create a ticket and someone will be get back to you right away. Disclaimer: The content of this website is based on research conducted by TTAV Global, LLC, unless otherwise noted. The information is presented for educational purposes only and is not intended to diagnose or prescribe for any medical or psychological condition, nor to prevent, treat, mitigate or cure such conditions. The information contained herein is not intended to replace a one-on-one relationship with a doctor or qualified healthcare professional. Therefore, this information is not intended as medical advice, but rather a sharing of knowledge and information based on research and experience. 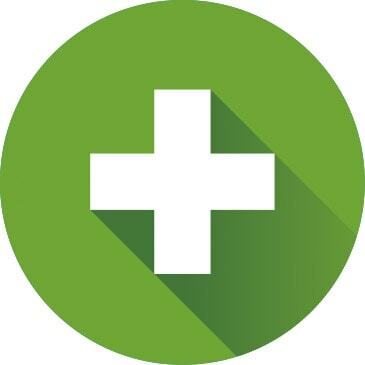 TTAV Global encourages you to make your own health care decisions based on your judgment and research in partnership with a qualified healthcare professional. © 2017-2019 TTAV Global LLC.